Look, we all know that you’re ~probably~ the favourite child, but to reeeeally cement your #1 kid status, you’ll need to bring your A-game when it comes to a gift for Mum this Mother’s Day. To take out all the hard work from choosing a gift, we’ve found some pretty awesome gifts that are NOT nighties (boring), cleaning appliances (sexist) or gift vouchers (try harder). 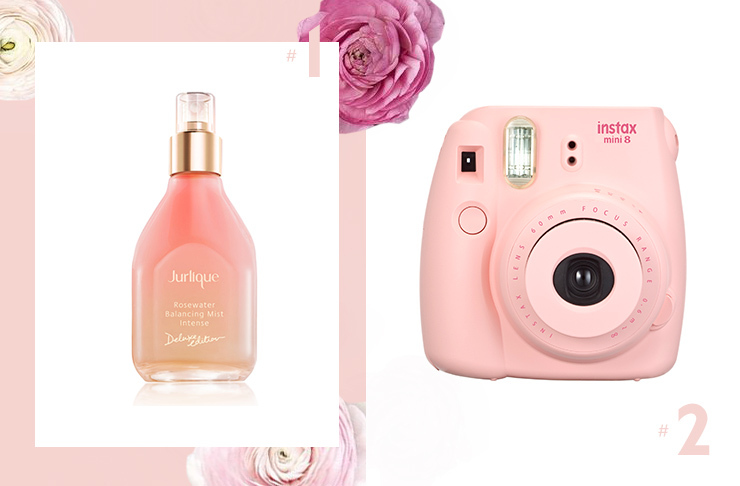 This limited edition Jurlique Rosewater Balancing Mist does a few awesome things. It hydrates the skin (which makes it perfect for travelling) and it also supports the Jurlique Ideas Of Beauty Fund which raises money for not-for-profit projects that assist women and children. A present that is not only good for the skin, but good for the world? We’re in! To put it simply, photos taken on instax are just more fun. They develop instantly and can be kept in wallets/on fridges/on work computers which means Mum can constantly be reminded of what an amazing child you are. They come in some super cute colours too, so you'll need to do some sluething as to what your Mum's favourite colour is. Come on, we can't do all the work for you! To keep Mum looking fab in the beauty department, get her a frank body set which comes with an Original Body Scrub and your choice of an additional Peppermint, Coconut or Cacao Body Scrub as well as the option of a body balm or the body cream. She’ll look good and feel even better and, you know, when Mum’s happy, everyone’s happy. 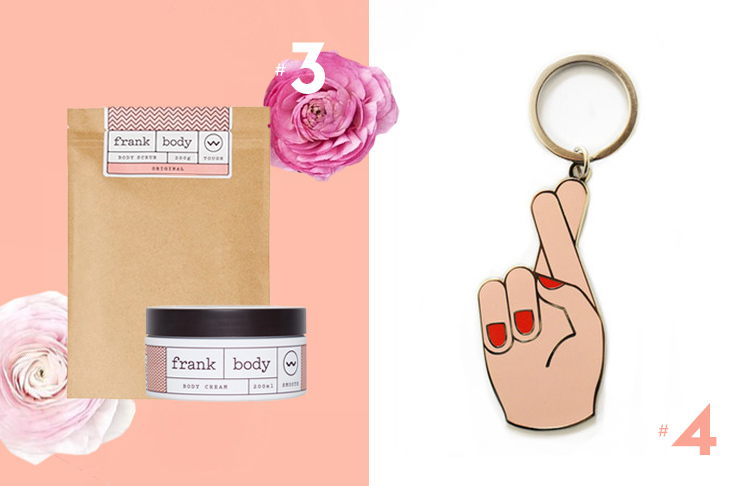 Okay, so a keyring may not be seen as the coolest gift of all time. But then you haven’t seen the work of Georgia Perry and her super cool designs. This one is perfect for those on a budget (hey, that Eurotrip this summer won’t pay for itself) or if your Mum literally has everything. Plus, unlike that spiraliser you got her last year, she’ll actually use this. Add a bit of glam to the home with these Uashmama paper bags in gold. An on trend home for plants, knick knacks or anything really, these can be rolled up or down to suit the size of whatever you’re storing. These bad boys come in a range of sizes and colours, so go nuts. 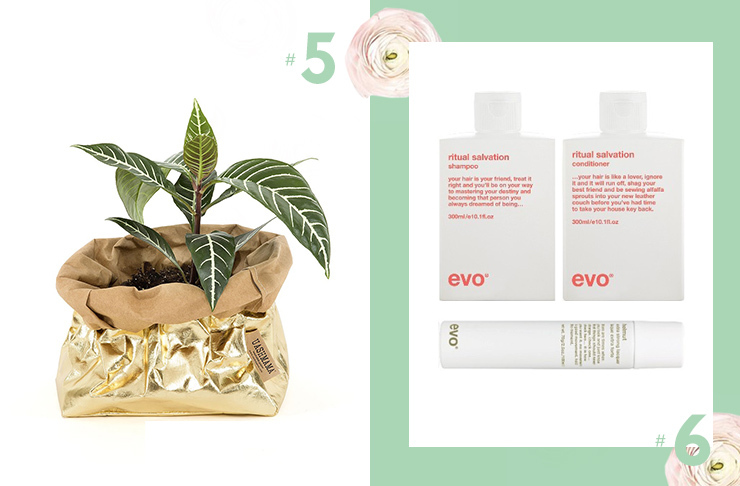 Give the gift of good hair with a hair pack from evo. Simply choose a 300mL shampoo and conditioner and she’ll get a bonus can of Helmut Original all put together in a rather attractive gift box—no wrapping required! So whatever hair your Mother has (and has probably passed down to you), there’s a gift box suited to her. The gift of tea, while practical, can be seen as a little meh. 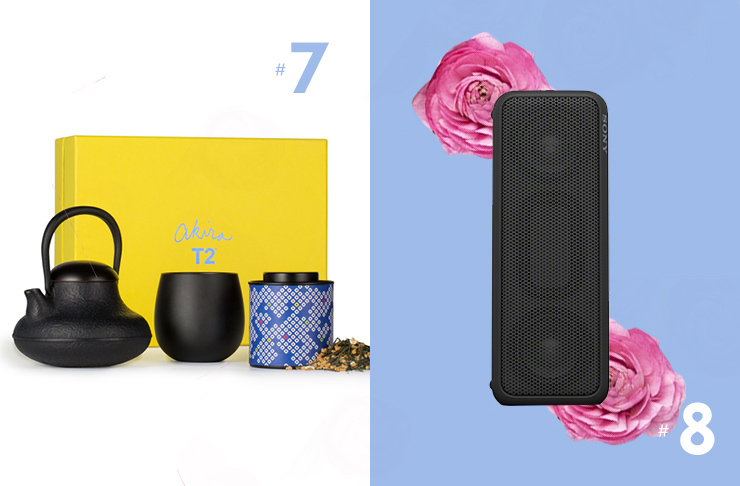 But it’s certainly not meh if you get Mum a T2 x Akira Isogawa gift box which features a beautifully designed teapot made from iron, a cherry wood teacup and loose leaf tea. It’ll bring a bit of Kyoto to the home and just looks so cool. These sets are available in store. Perfect for home, or outdoors, this brand new Sony Bluetooth speaker brings awesome sound quality to the party. So whether she’s tuning into to her favourite Podcast, or being forced to listen to the Frozen soundtrack on repeat, at least she’ll be doing it in style. It’s also available in a choice of colours so you can pick one that’s right for Ma.